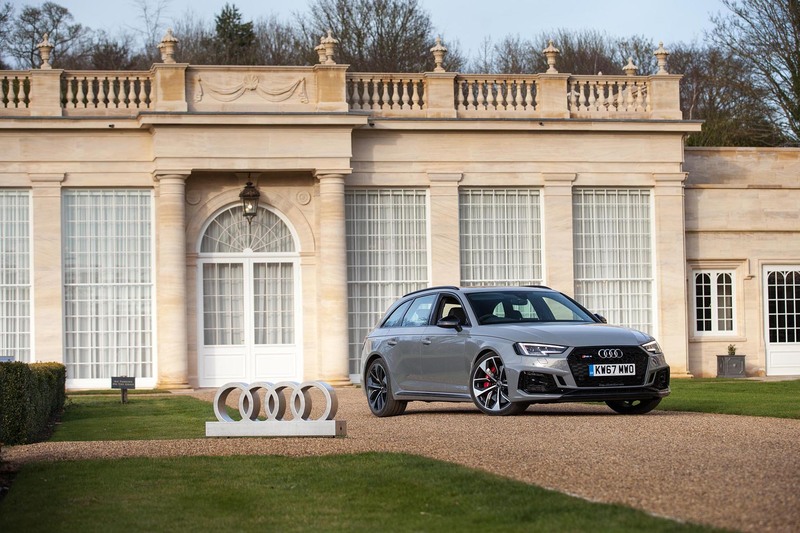 It was the year 1994 when an Audi 80 estate received chassis and styling tweaks before being treated to a 2.2L 5-cylinder turbocharged engine, producing over 310bhp with a 6-speed manual gearbox and Audi’s highly praised Quattro all-wheel-drive system – it was called an ‘Audi RS2’ and the birth of Audi RS models. 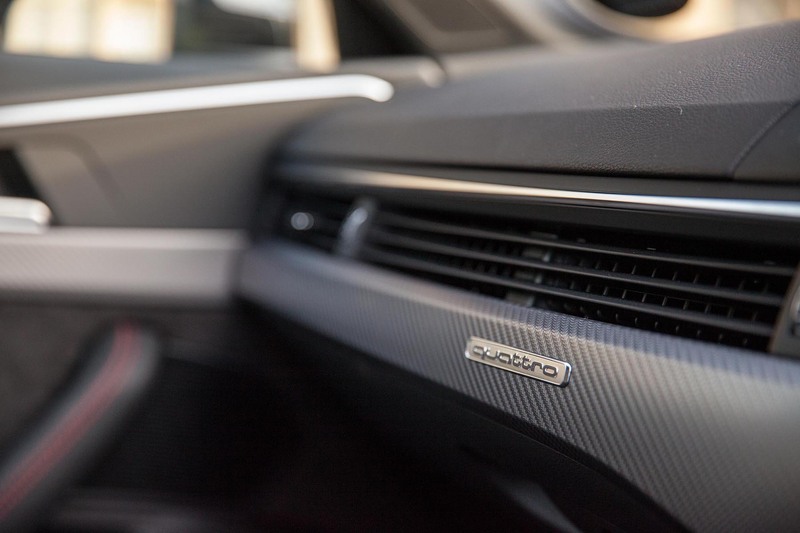 Even by modern standards, that set-up in any car is rather impressive – today though, with Euro emissions, engines are not only reducing in capacity but the cylinder numbers are plummeting too. 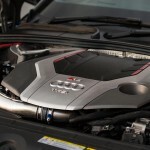 With this in mind, and in order to keep performance at an optimum, turbochargers are becoming all-too-common. 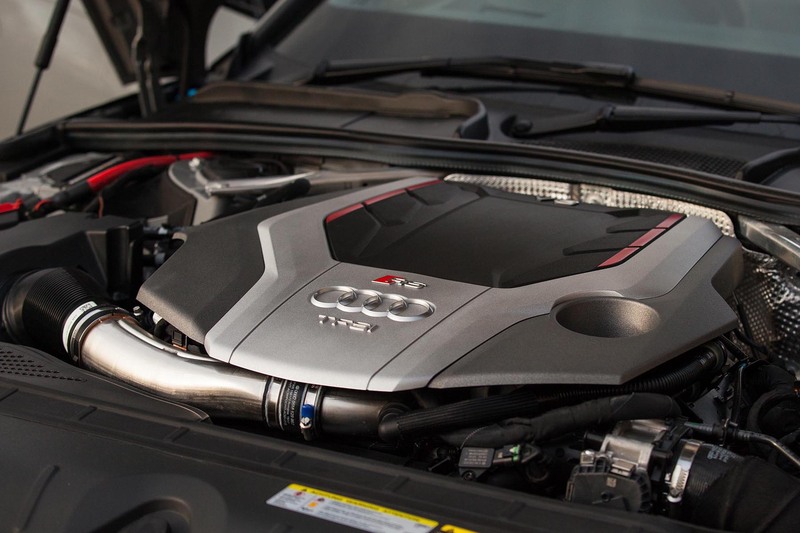 For me personally, this is a good thing – I am not a fan of naturally aspirated engines which tend to require huge amounts of rev’s to extract the best – instead, I enjoy smaller turbocharged engines, with hefty torque and a power delivery that is much more usable, especially on our tortuous roads. 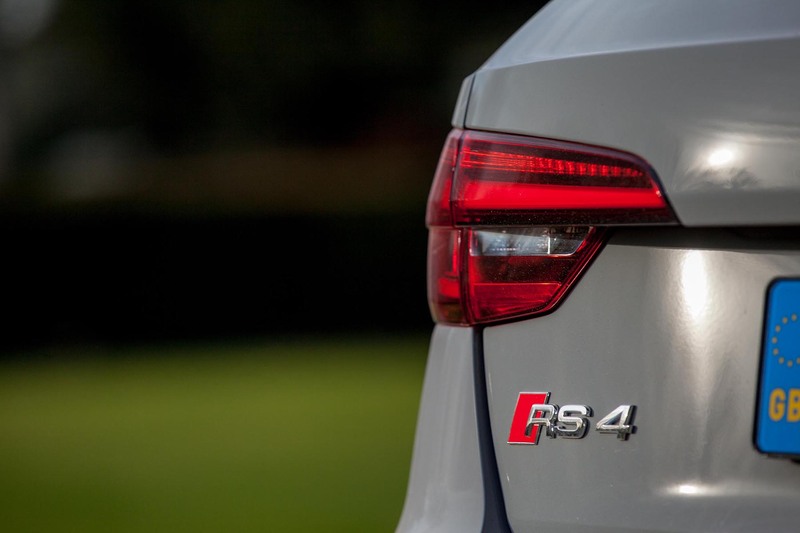 The RS4 Avant has been around in the UK since the turn of the millenium and now in its fourth generation, has continued to lose its way regards its looks – styling wise, the first two generations of RS4 portrayed a prominent girth, a girth that authorised the model as something that sat superior of the run-of-the-mill A4 range. 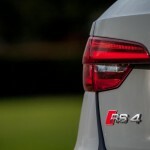 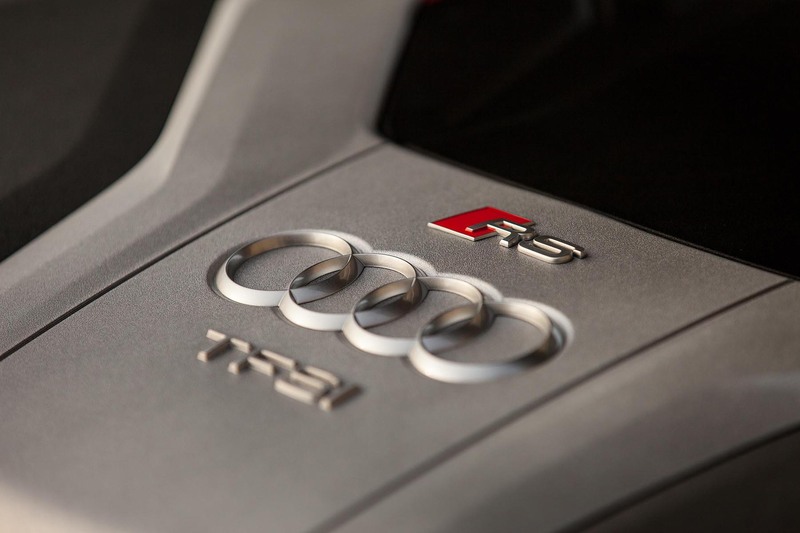 Nowadays however – the Audi Range as a whole has developed with such signature styling, that to the standard observer, it’s not obviously straightforward to distinguish between a £30k TDi and an £80k fire-breathing RS model. 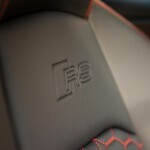 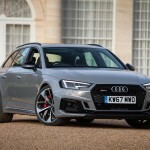 Audi’s RS4 Avant is possibly the favourite of the RS range though – it really is a perfectly capable RS Audi – one however, that was most recognisable in its second generation, and back then, one that many a young lad will have had a poster of, on the bedroom wall, beside some supercar exotica. 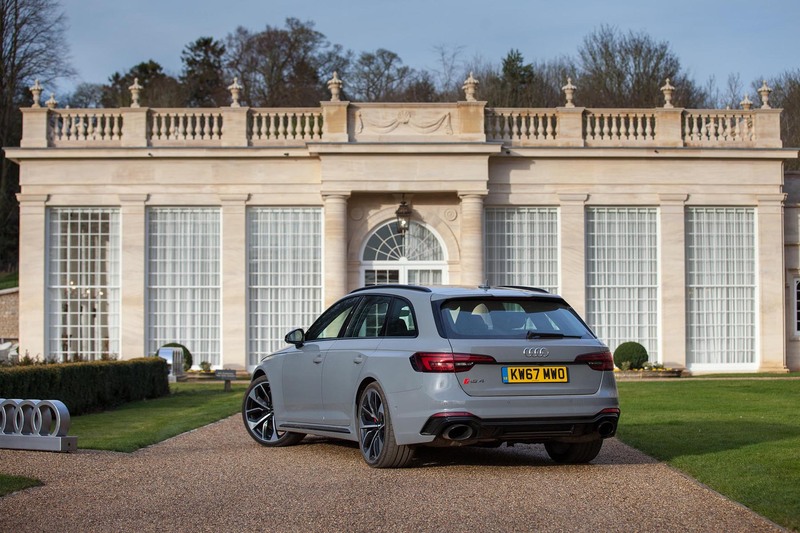 With quite an array of RS models, it is brave to say the RS4 Avant is favoured above all others, but it is perfect, despite blending in – perfect due to it being an estate, a practical estate to boot – big enough to cope with family life, business life and a sporting life – but not too big like its siblings, the even more practical RS6 Avant or ultra stylish RS7. 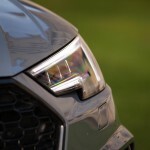 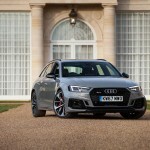 Starting from £62,175 Audi’s RS4 Avant is a premium car with a premium price tag and I can only think of one like-for-like rival which is the Mercedes-Benz C63 AMG Estate – it too starts at similar money, is equally as practical and also blends into its range every bit as much – the German’s need to take a leaf from Honda’s’ Civic Type-R design book to stand out from the crowd. 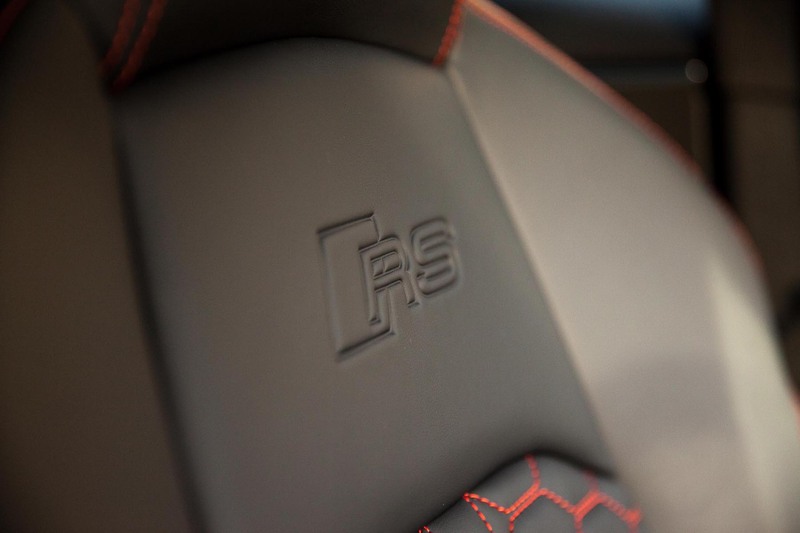 My issue with these premium brands, as someone with a sensible enough value-for-money head, regardless of the fact they come with a reasonable spec – is that to get a lot of the luxuries you would expect as standard from a premium brand, you in fact need to dig deep and tick several expensive option boxes to get them all. 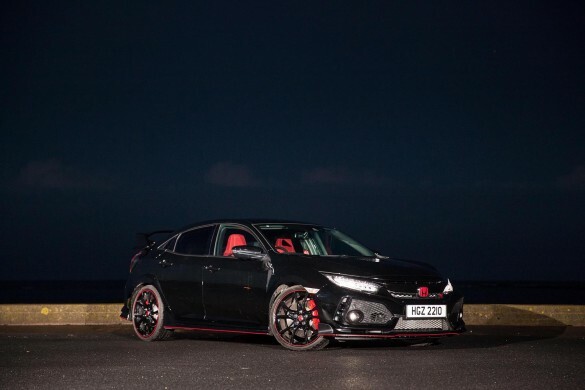 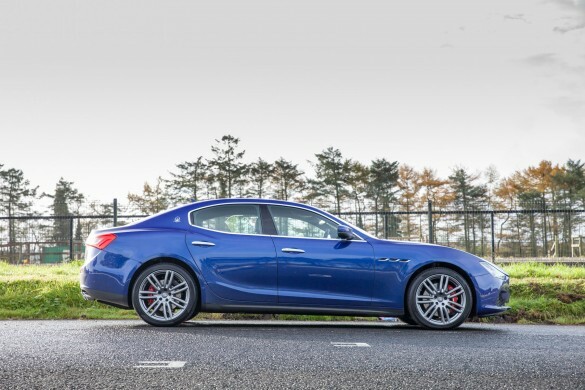 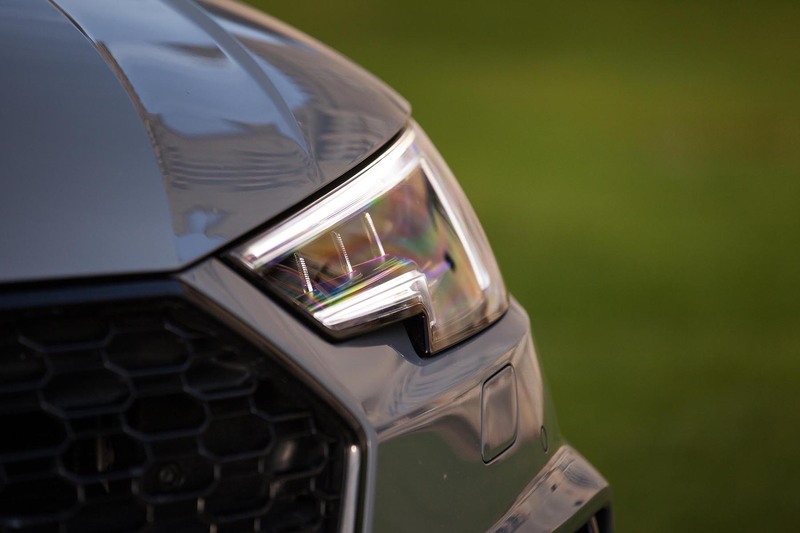 This model tested for example, has £18,350 worth of optional extras fitted to it – making it a staggering £79,975 on-the-road – perhaps the reason they are not a common sight on our roads? 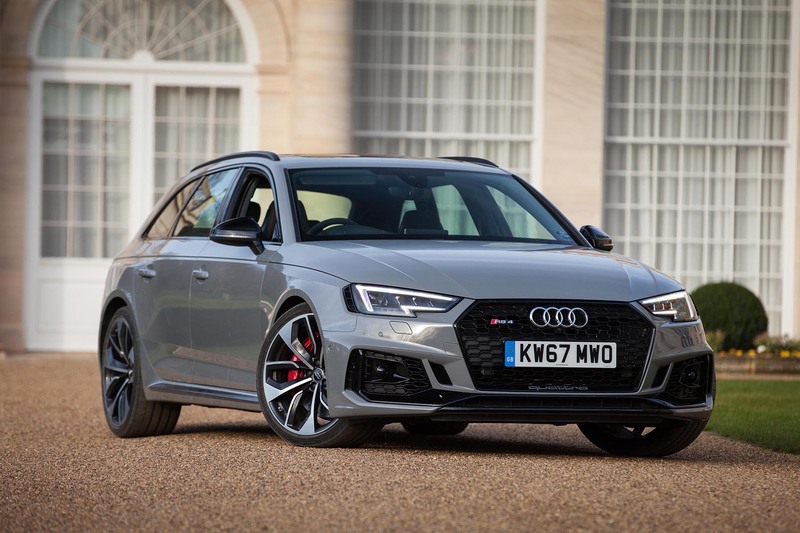 Anyway – back to the model in hand, finished in one of the best colours available on the car market these days ‘Nardo Grey’ – the RS4 is just over 1-inch wider than an A4 Avant, enhancing its driving capabilities a bit more than its visual girth. 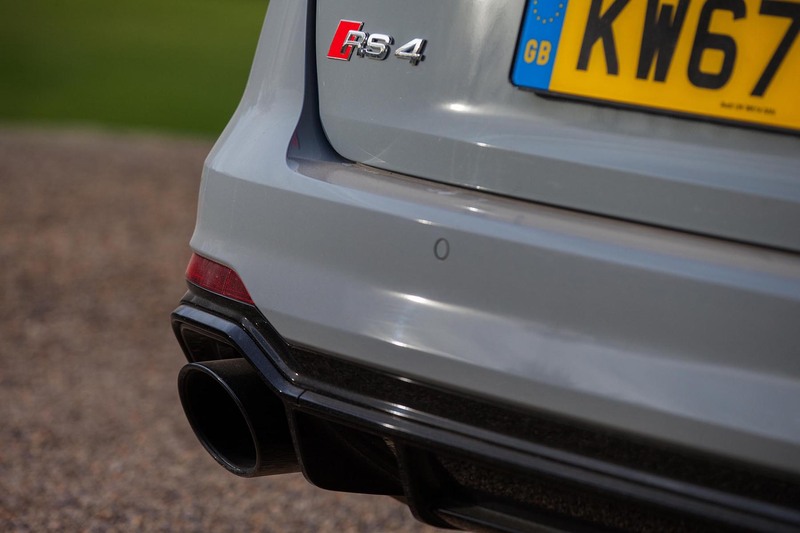 A hamster smuggling oval tailpipe each side of the rear lower bumper diffuser, hint at what this car is, but it’s what’s tucked behind the 20” (£2,000 option) diamond-cut alloy wheels that allows the enthusiast to get excited – brakes that are larger than the wheels on many city cars. 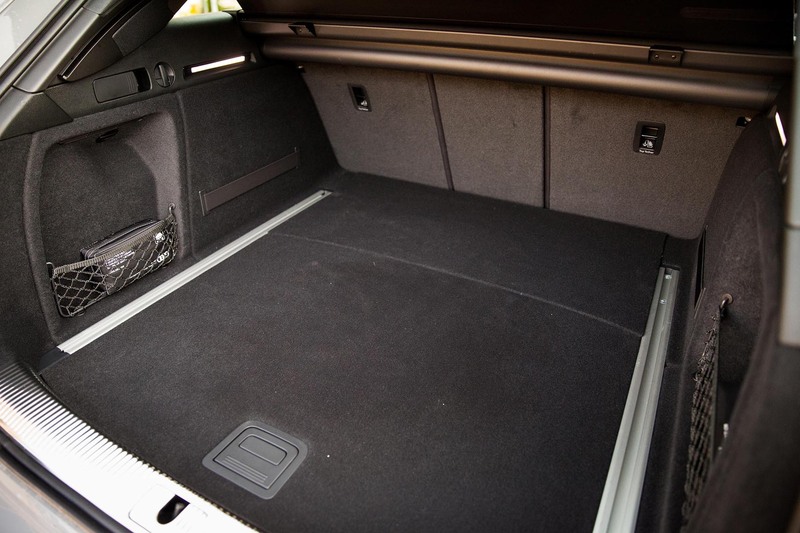 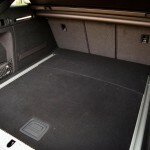 Load space in the boot comes in abundance, offering enough to cope with most of what anyone requires from an estate car and with the rear seats folded flat – the volume trebles – in this guise you could be the most comfortable and fastest Hermes delivery driver in the world. 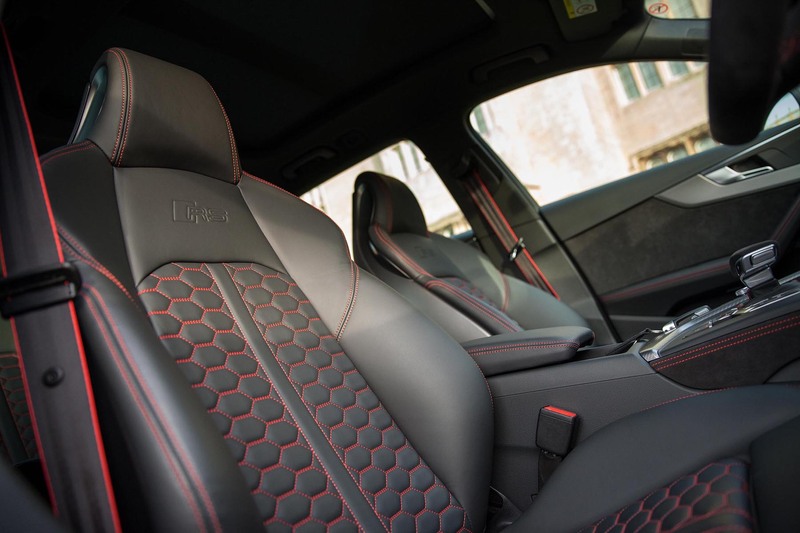 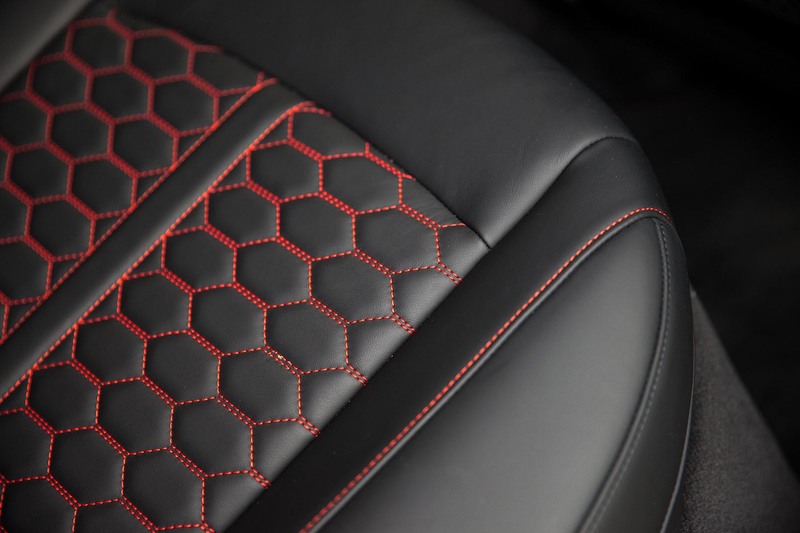 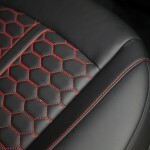 A fully heated and mega-supportive nappa leather interior sits perfectly beside dark alcantara trim throughout the cabin – all of which is brought to life with red stitching with cross-stitching on the seating. 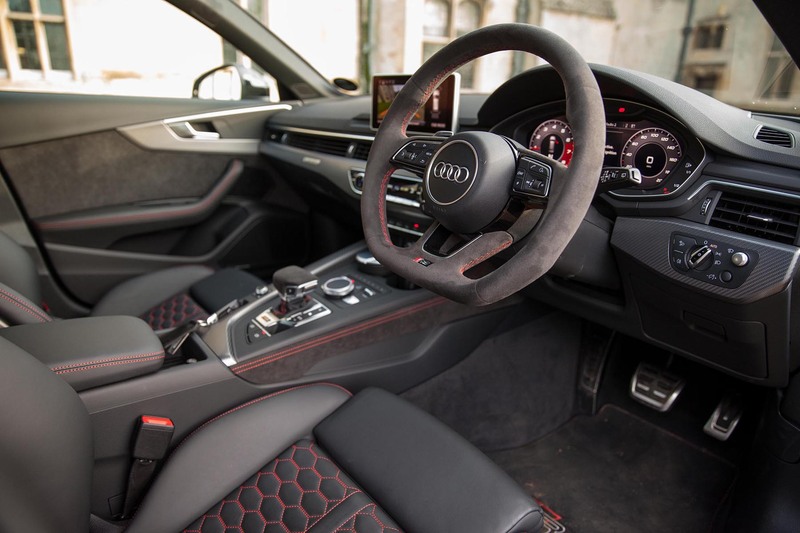 As you would anticipate there is a quality, well-built feel inside with enough room for four large adults to travel a long journey in comfort. 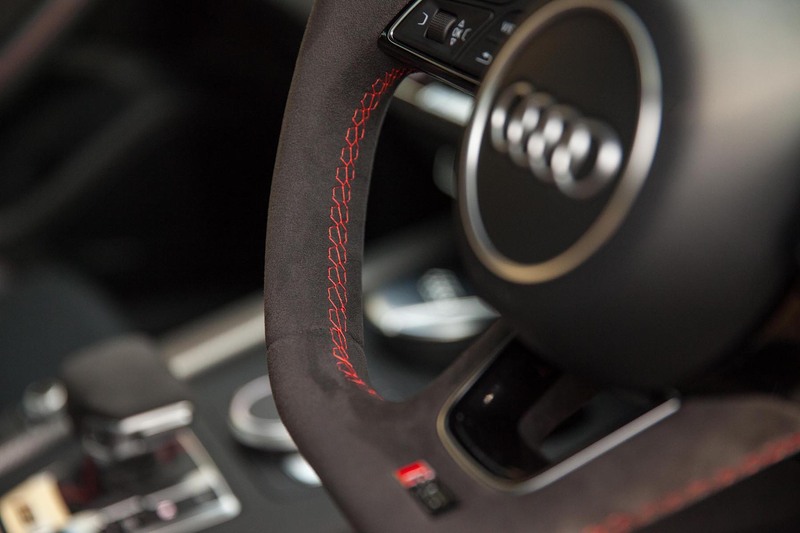 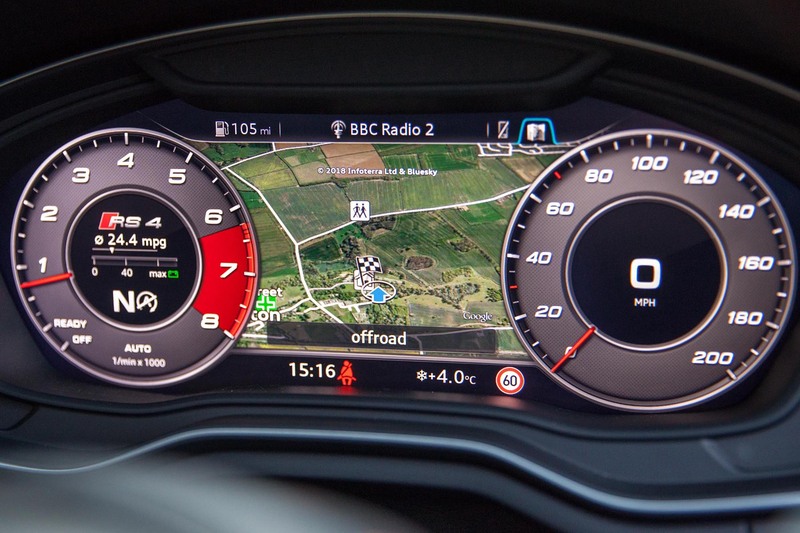 Featuring Audi’s fantastic Virtual Cockpit – a large screen in place of old analogue dials behind the steering wheel for ease of understanding – you can view media, maps, speed and revs amongst various other things and it is a less-distracting asset to the brand. 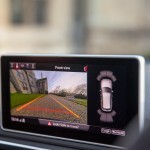 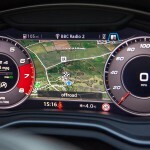 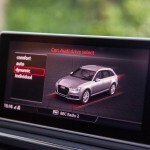 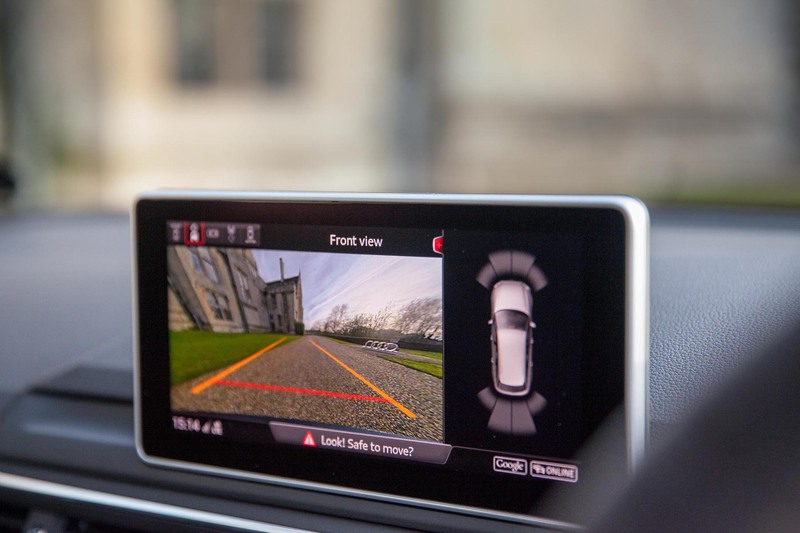 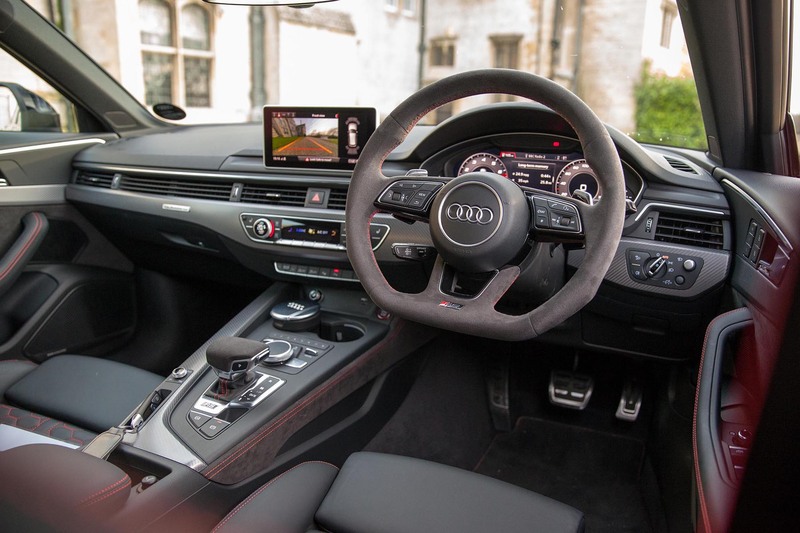 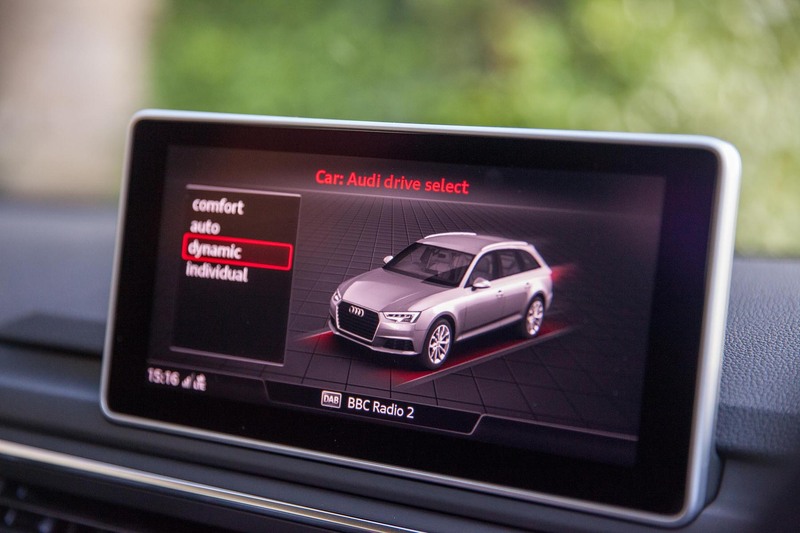 What Audi also provide, is a screen that protrudes from the middle of the dash, a screen that’s only benefit I see is to display the reverse camera view – a view that could so easily be integrated into the likes of a rear-view mirror or the virtual cockpit – this second screen looks cheap and messy. 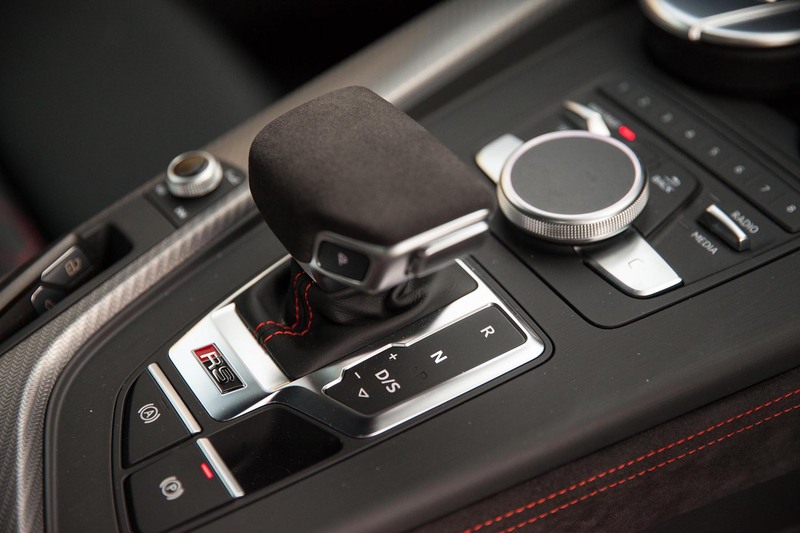 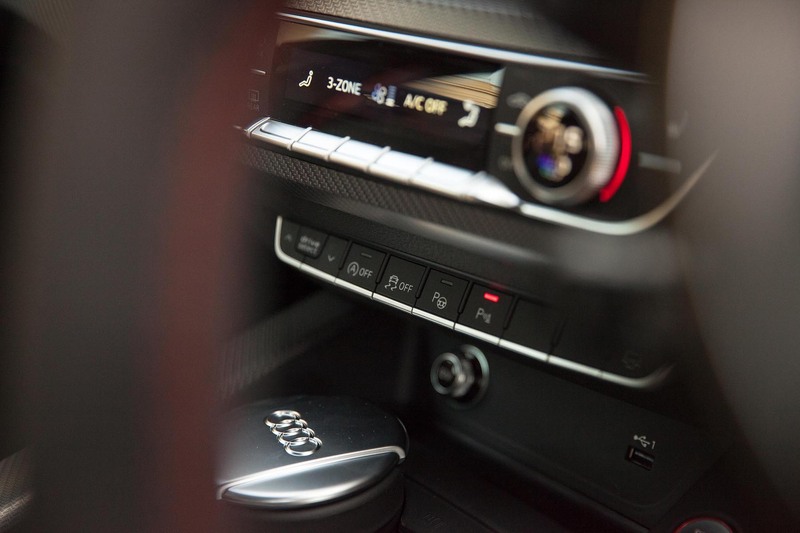 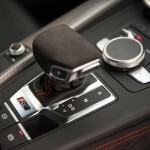 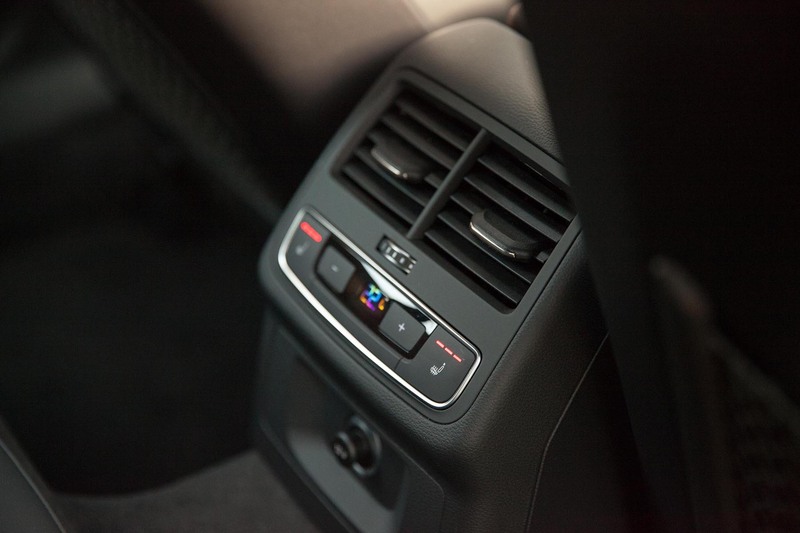 Also disorganised, is the drive-wheel and navigation buttons for the infotainment system – they sit in front of the gear knob and at the height it sits, makes changing settings annoying with the likelihood of an unwanted gear-change or neutral-selection probable. 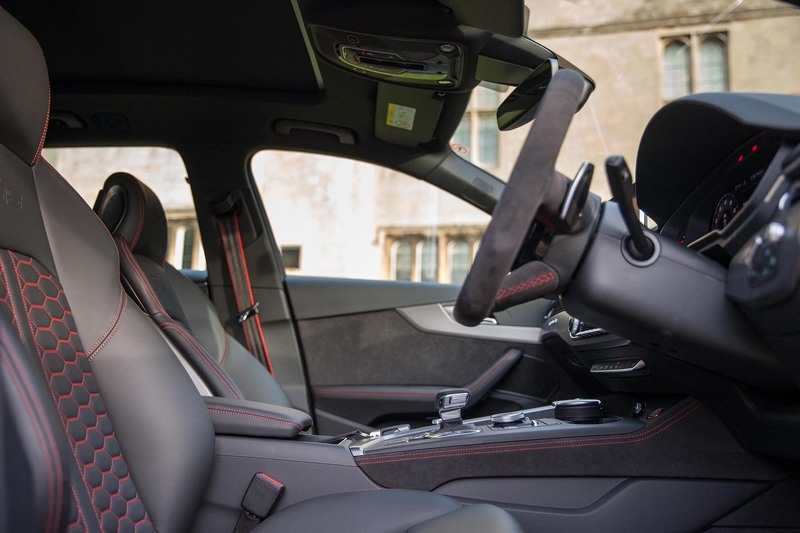 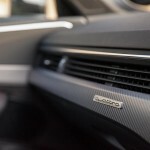 If the Bang & Olufsen 15-speaker, premium audio system at £750 doesn’t provide enough quality for ones needs then the £1,200 optional RS Sport exhaust system ought to tantalise you! 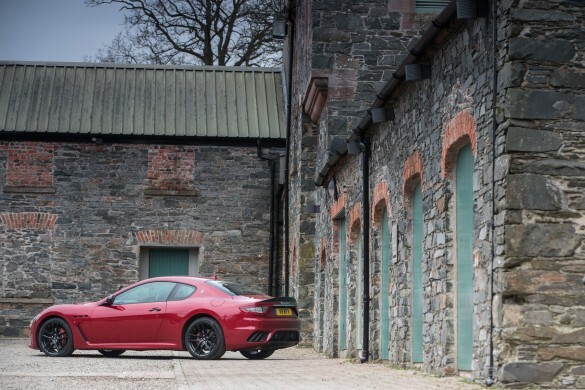 It gets rid of the engine gasses in a way to put a smile on your face, yet in a way that is sedate in tone when it needs to be. 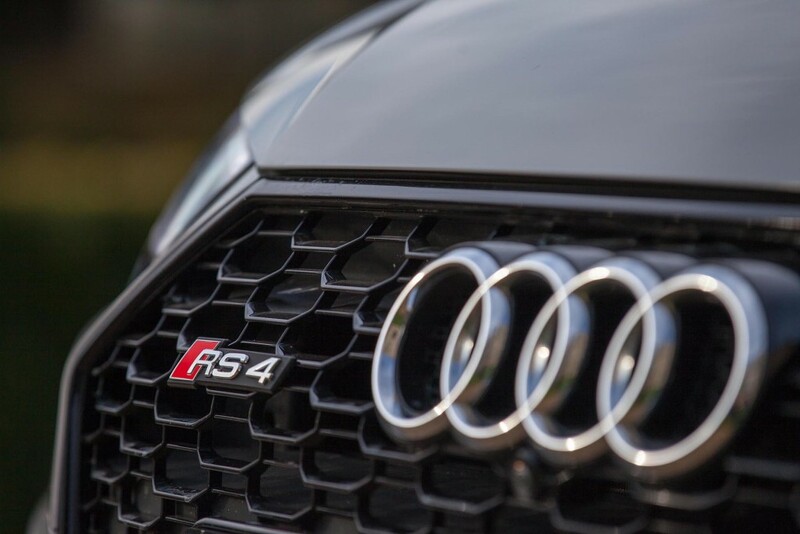 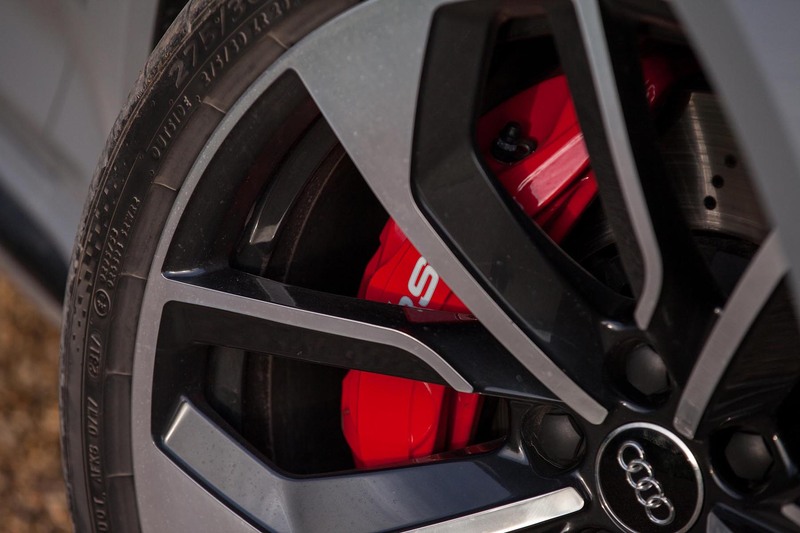 Fitted with a 2.9L V6 turbocharged petrol engine, paired to an 8-speed twin-clutch gearbox and Audi’s all-wheel-drive Quattro system – this latest RS4 is far removed from the lazy-feeling and exceedingly thirsty V8’s of old – instead much more frugal and frighteningly hasty. 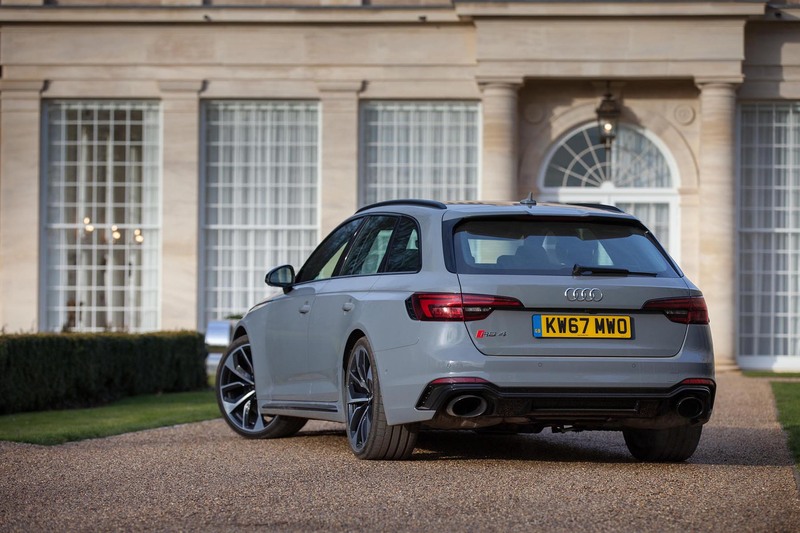 Producing 444bhp with 443lb/ft the RS4 Avant will see a 0-62mph in a mere 4.1 seconds with an optional top speed of 174mph which isn’t much use here, but the perfect when to spend £1,450 if you use the Autobahn daily. 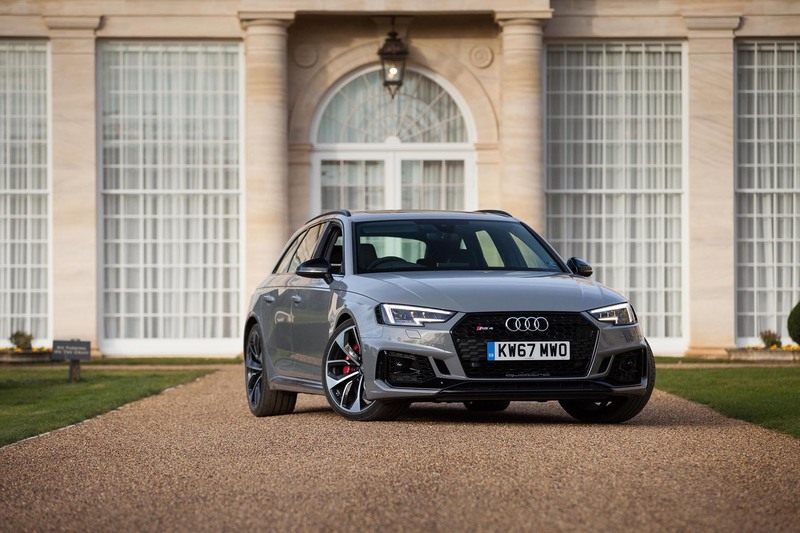 Driving wise – this hugely purposeful Audi does everything as perfectly as you would expect – after around an hour in the RS4 Avant I really was at home. 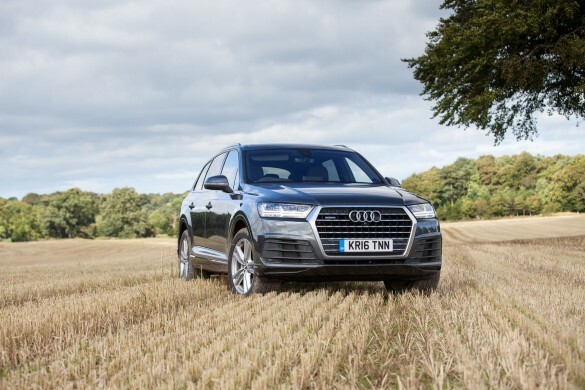 It’s not only comfortable, but confident inspiring too – aided by the £2,000 optional dynamic sport suspension and Audi’s Drive Select Modes. 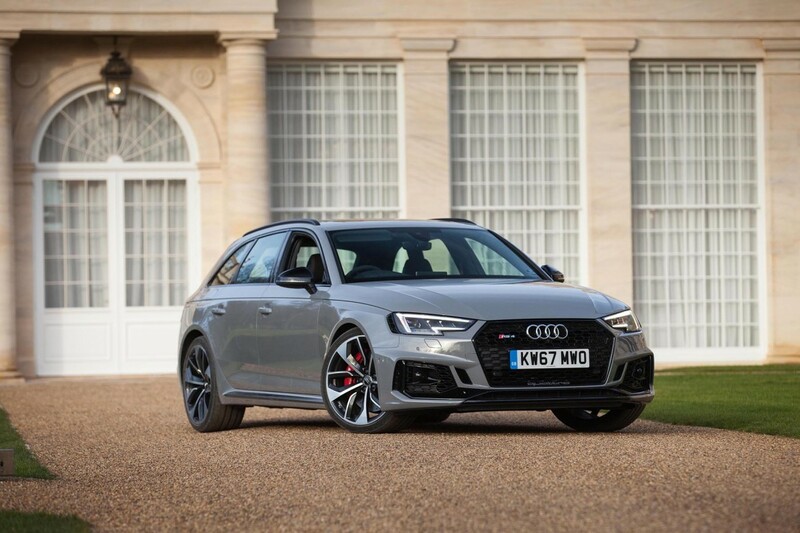 As per most modern performance cars, it does everything so well, that at times you may not realise just how much haste you are carrying – something that annoys me on ‘hot hatches’ – but on this family friendly, springer spaniel carrying estate is somehow acceptable. 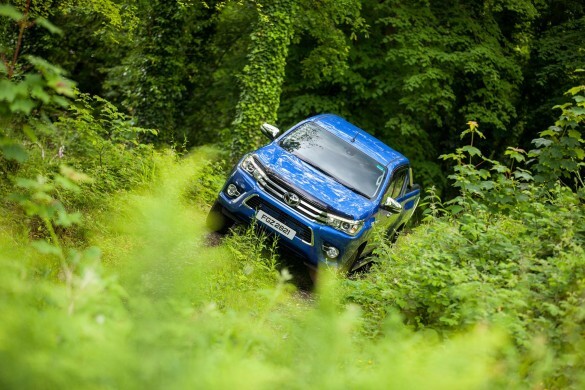 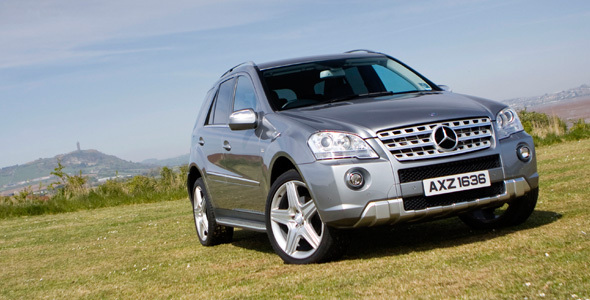 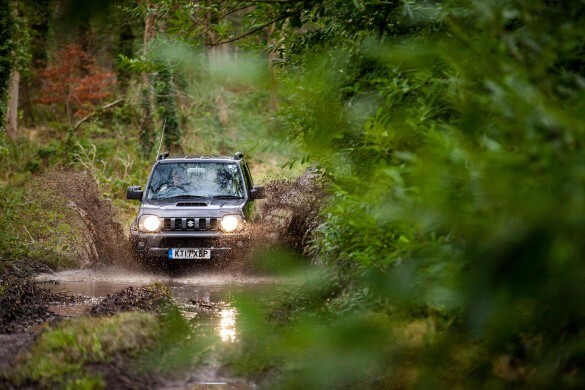 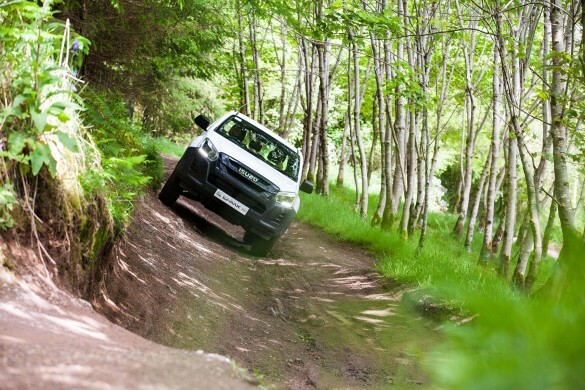 With a 3-year 60,000 mile warranty, servicing should be done every 19,000 miles or 2-year intervals, whichever comes first and after the first year’s road tax of £1200, which is included in the price of the car – the following 4-years annual road tax is £450/yr. 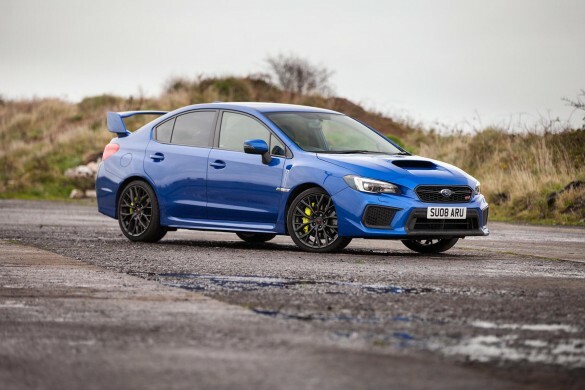 Would I own one? 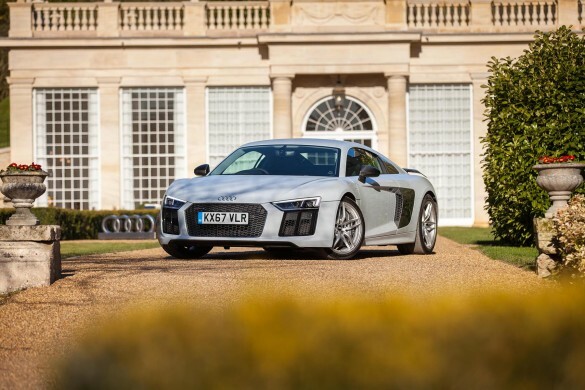 – Without doubt it’s a YES – it may take a while to retract my jaw from the floor at the total cost of the test car though – it’s the price of a first home!